Varicose veins are seen by many people as a female health problem. More specifically, people consider varicose veins to be a cosmetic issue that affects older women. This view is false. Varicose veins can develop at any age, and they are an issue experienced by both genders. However, men often ignore the veins and refuse to seek the treatment they need and may suffer from that decision. Numerous studies and various health statistics prove that men are more likely than women to ignore their health concerns. The lack of treatment for varicose veins is no exception to this behavior. Many men do not see the veins as a health threat when there is no pain and no obvious medical complications. The veins are less noticeable on men, so ignoring their development is easier for them than for women. Men typically do not wear clothes that reveal their legs as often as their female counterparts, and the hair on their legs may help to disguise the discolored, bulging veins. Because men do not undergo pregnancies, they also may not experience the sudden appearance of the veins. Varicose veins may not arrive as early in life, so the gradual problem is easier for men to ignore. Many men may also avoid discussing the concern, even if it causes discomfort, because they mistakenly believe varicose veins are a female condition. Genetics plays a role in the development of varicose veins, but lifestyle factors contribute to the problem. Many men now work sedentary jobs. Forty years ago, approximately 20 percent of all American jobs were light-duty work. By the year 2000, that number had doubled. 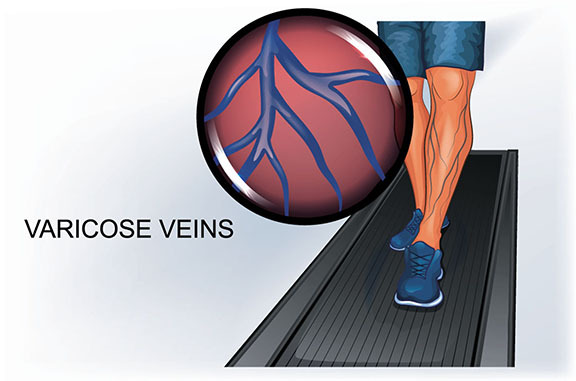 Inactivity and excess weight also increase the risk of varicose veins. 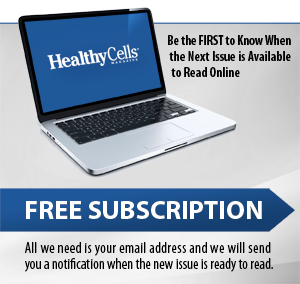 Unfortunately, men are often as unwilling to address their lifestyle habits as they are to visit a doctor. If male sufferers refuse to make a change, varicose veins may appear, will continue to worsen, and could return even if they are medically corrected. Varicose veins do not go away on their own. Over time, the problem becomes more severe and can lead to additional complications. The veins get larger and become more painful. The legs and ankles could swell. Blood clots form, ulcers develop, and the skin becomes more delicate and is damaged and bleeds easier, all of which increases infection risks. Many methods of varicose vein treatment are relatively noninvasive and extremely safe. Lasers, injections, and other methods that require only short recovery periods are common options. Treatment requires little to no downtime, takes less than an hour, and has minimal to zero scarring. Men need to follow their doctor's orders after treatment to enable their bodies to heal faster and without complications. Weight loss and an exercise plan can reduce the reappearance of the veins. Any man embarrassed by his varicose veins should realize that he is not alone. Statistically, women are more likely to seek help for the condition, but studies have shown that up to 50 percent of men may be silently struggling with the problem. Treatment is as effective for men as it is for women, and the problem is something that patients and doctors can easily manage in private. We frequently treat men suffering from uncomfortable varicose veins. The treatments available today can end the discomfort and make it easy for men to feel comfortable with their appearance again. If you’re currently suffering from varicose veins, swelling or aching in your legs call The Vein Specialists at 309-862-4000 to schedule an appointment with one of their doctors to discuss your treatment options and preventative measures. They have convenient locations at 3302 Gerig Drive in Bloomington or 2011 Rock Street, Suite D2 in Peru.